If you’re a little bored of Dubai’s super-luxe but admittedly a tad cookie-cutter spa scene, then the next spa destination on your to-do list needs to be the new Six Senses Spa. 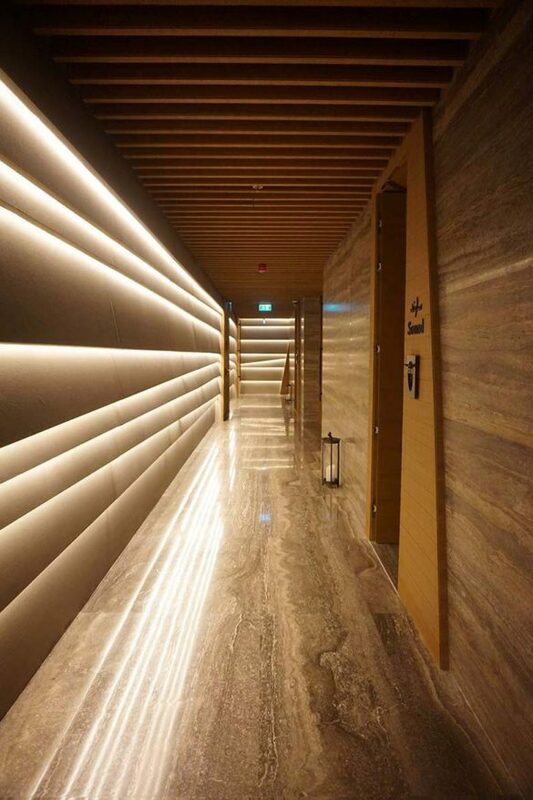 Located in the stylish canal-side Renaissance Hotel, this is the first Six Senses Spa of it’s type and Six Senses’ first foray into the Emirate (the closest Six Senses you’ll find in the region is the beautiful Zighy Bay in Oman. 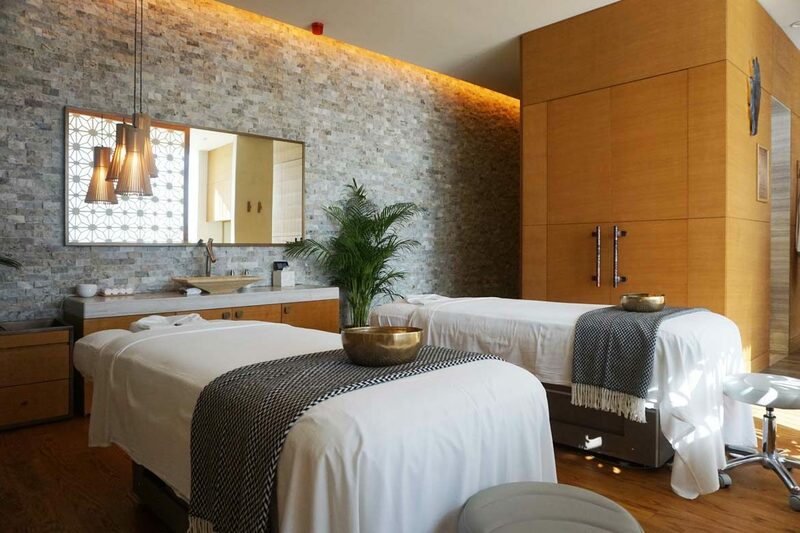 What makes Dubai’s Six Senses Spa stand out from the pack? 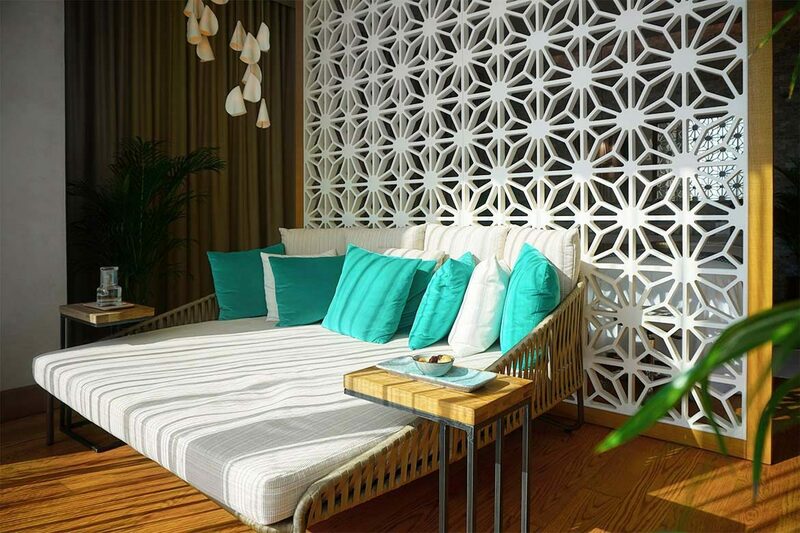 Apart from offering holistic treatments such as wellness screening and chakra balancing, their innovative sensory suites are what make this spa a spa like no other. 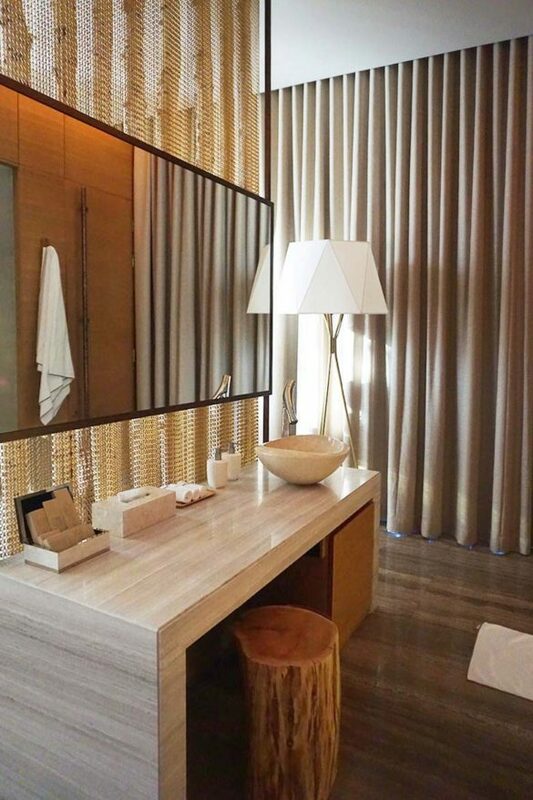 The spa boasts six unique treatment rooms, each designed around invigorating not just the body, but an individual sense. Each treatment booked includes an additional 30 minutes to spend experiencing what each sensory suite has to offer – choose from sight, smell, taste, sound, touch or ‘beyond’. These rooms all have different elements for you to experience – let the healing sound vibrations of the Sound suite’s vibroactoustic lounger soothe you, or perhaps take the Sight suite’s monochromatic light mask that is said to ‘upgrade your brain’s mental software’. We have to admit, both sound rather intriguing. For our test drive, however, we tried out two of the six suites – Touch and Taste. Six Senses offers a range of signature massages – though the Deep Tissue and Tension Soother sounded enticing, given the hectic few days just passed we opted for a blend of their Detox and Holistic options. 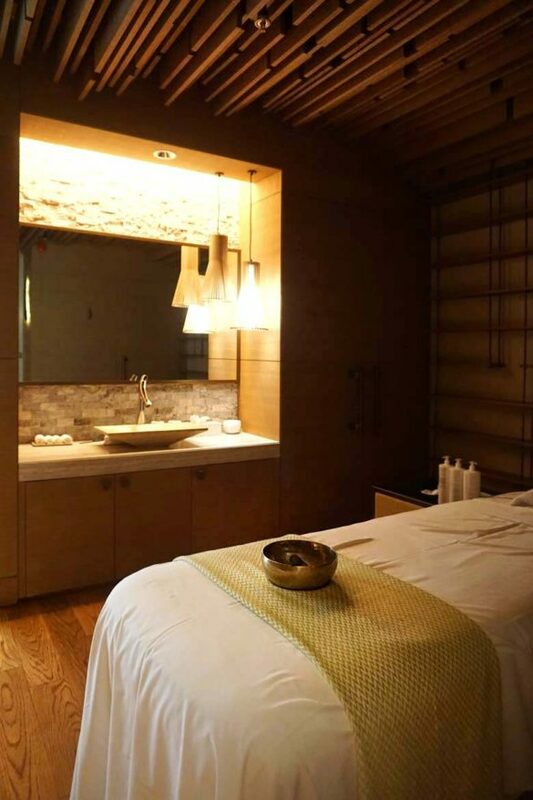 Our 60 minute massage took place in the Touch suite, which boasts a flotation pod and salt infused steam room. It was our first dip in a flotation pod, a cocoon-like enclosed pool enriched with Epsom salts to increase buoyancy. Add to this some trippy coloured lighting and music and apparently you’ve got the recipe for attaining a meditation like state of relaxation, blocking your fight or flight response and encouraging brainwaves that reduce stress and promote healing. We’re not sure if we quite got to that elevated state of relaxation, but then we struggle to switch off at the best of times so we hardly expected meditative bliss. The muscle reviving Epsom salts can’t hurt however, and it is a lovely segue into a relaxing massage, one which certainly impressed. 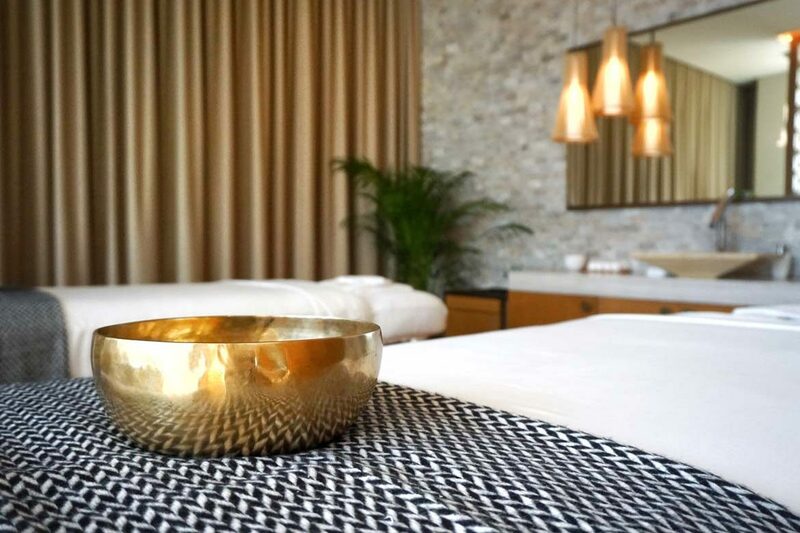 Starting and finishing with the soothing tones of Six Senses’ singing bowls, this is a luxurious and ultra relaxing spa experience from start to finish. Usually we’d end things there, but this was a spa so good we just had to return to experience another sensory suite. For our 24k Gold Age-Defying Facial Treatment we chose the Taste suite, this time finishing our treatment with a bespoke scrub made from a selection of ingredients from the suite’s ‘Alchemy Bar’. 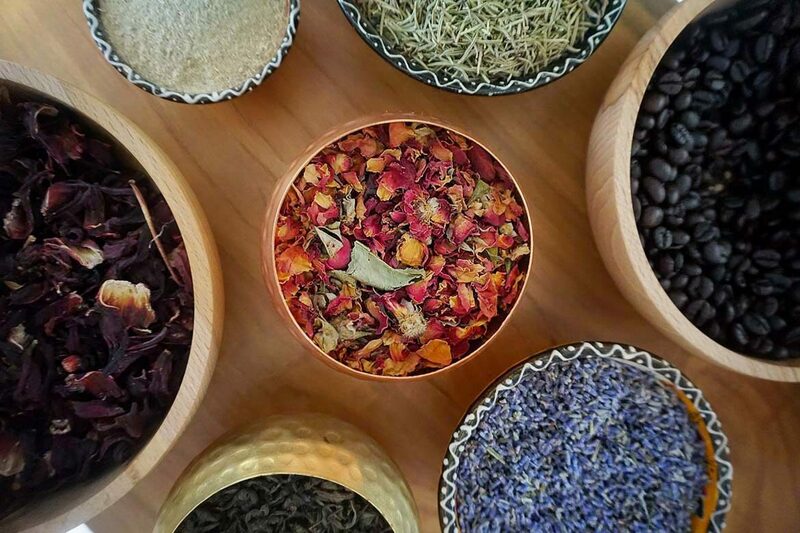 Green tea, coffee, ginger, lavender and rose are just some of the many ingredients you can choose from to make your choice of mask or scrub, and then either take it home or apply it in the in-room steam shower (we chose the latter, just to extend the pampering feeling.). There’s a large range of facial treatments on offer, but we found the promise of the restorative properties of 24k gold leaf alongside Mogra to stimulate collagen production and cell renewal too good to pass up. Much like the massage, the facial was executed expertly, as one would expect from such a highly regarded brand, alongside impeccable service and using excellent products. The only issue with having six fantastic suites? We’ll just have to return another four times before we can pick our favorite! 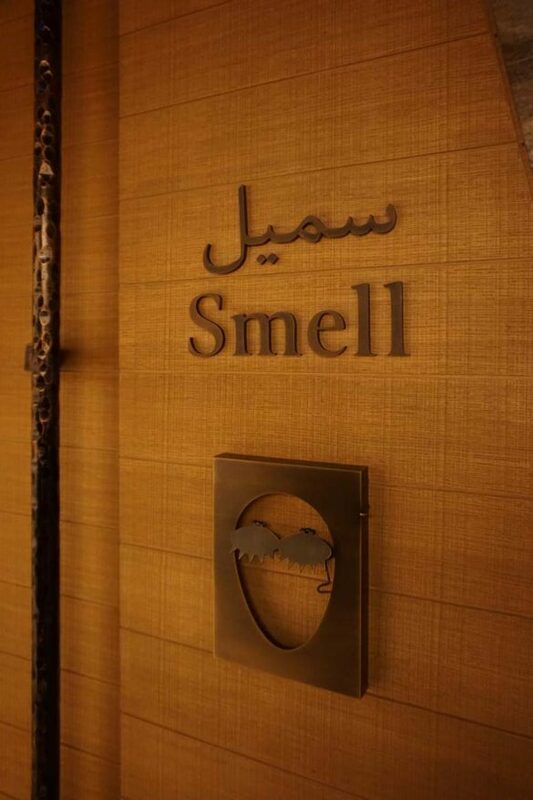 What’s the most unique spa experience you’ve experienced in Dubai? 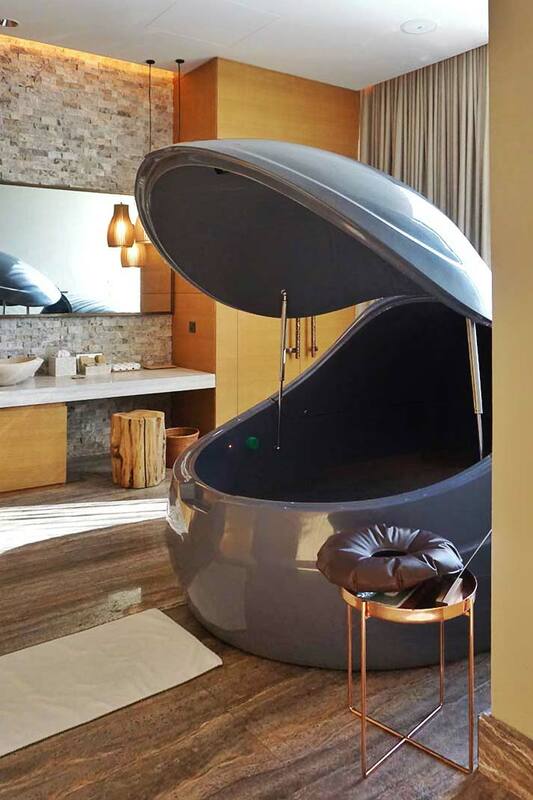 We road tested: 60 Minute Six Senses Signature Massage (Detox/Holistic) in the Touch suite with flotation pod, salt infused steam shower and 24k Gold Age-Defying Facial in the Taste suite with bespoke mask/scrub and steam shower. For more information, head to the Six Senses website.